Iceland, the land of fire and ice and the destination for Wildfire Explorers’ first Explorer Belt Expedition in July this year. 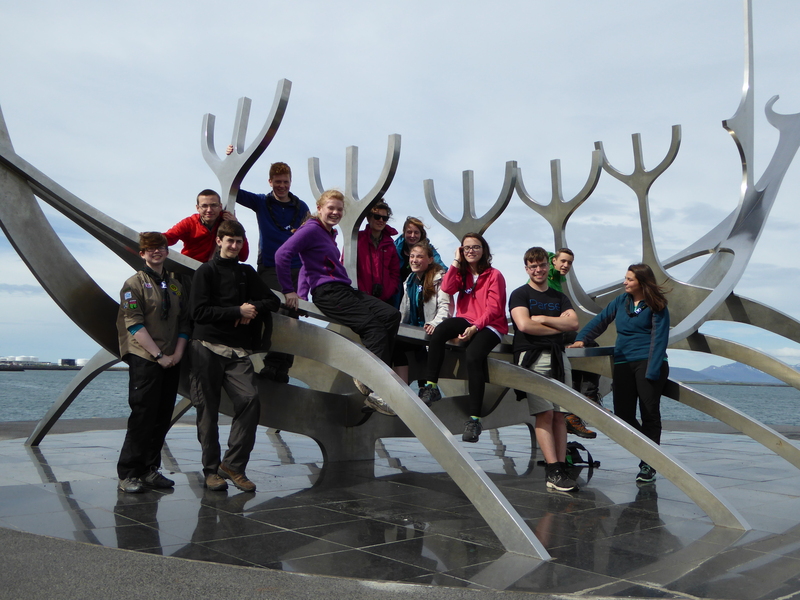 2nd July 2015 saw the culmination of over a year’s planning and training as eleven Explorers, four Leaders and four family members departed Edinburgh for Reykjavik, our base for two days’ acclimatisation and pre-expedition preparations. Fast forward to 14 July, location Selfoss, southern Iceland, the post-expedition rendezvous location for Explorer Belt teams and the rest of the party and base for post-expedition de-briefing. Among the achievements: more than 350km travelled (nearly half on foot), many Icelanders met, a geothermal swimming pool swum in by at least one Explorer every day, traditional Icelandic food sampled, dormant volcanoes ascended and an island visited. To complete the trip: three days at Ulfljotsvatn Scout Centre where we cycled and canoed and experienced the Ulfljotsvatn fly which at times made the Scottish midge seem quite tame. A challenging but hugely enjoyable seventeen days.